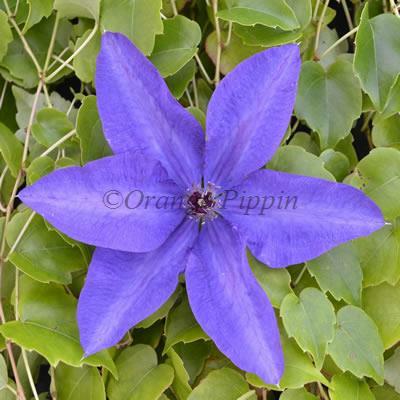 This long flowering Clematis is a very popular purple-blue flowered variety. 'The President' produces masses of deep purple-blue flowers from June to September, and has attractively pointed leaves and large flower buds. Clematis 'The President' was raised by Charles Noble of Sunningdale, England.